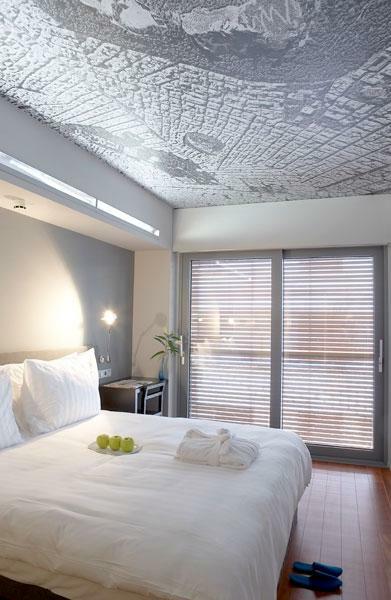 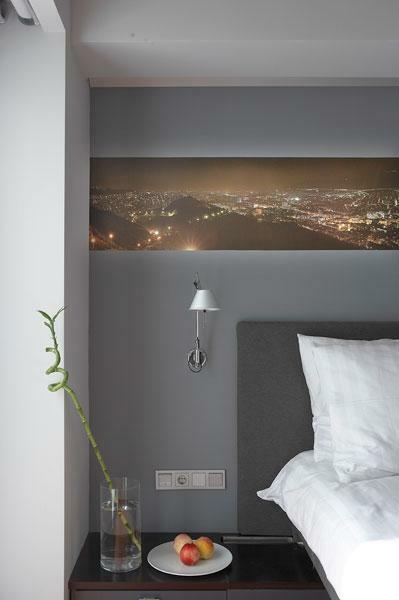 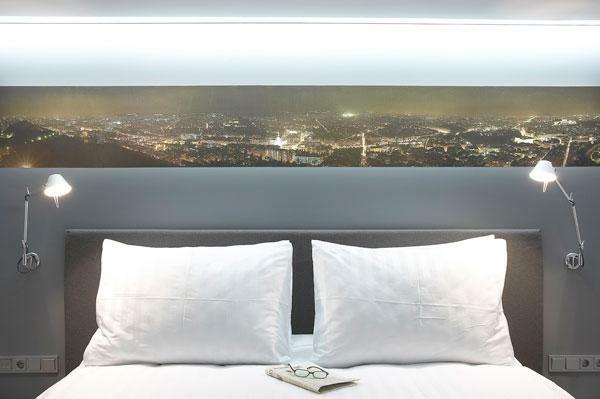 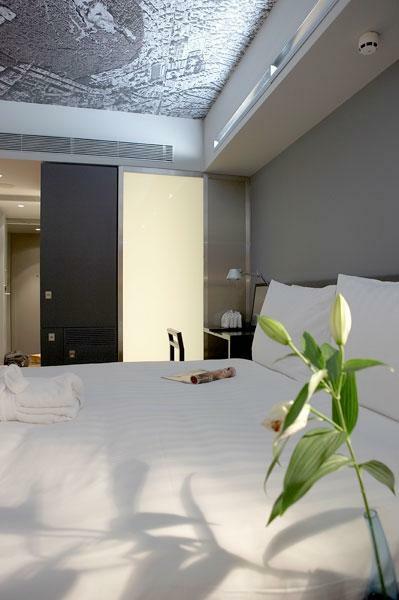 Guest rooms of this alternative accommodation in Athens are furnished with modern design objects like study desks with fold-away mirrors and original bathrooms with sandblasted glass doors to separate them from the room. 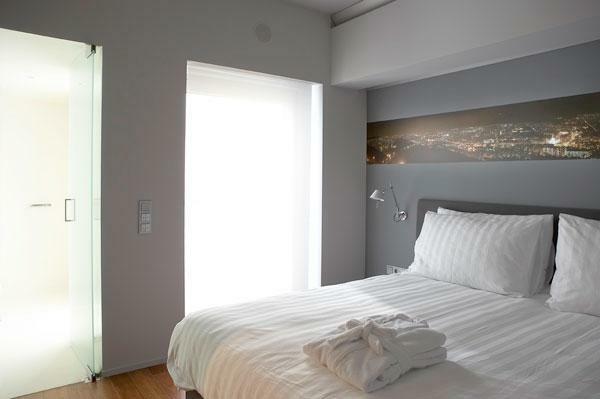 Some of the rooms are torpedo-shaped and follow a particular rectangular design. 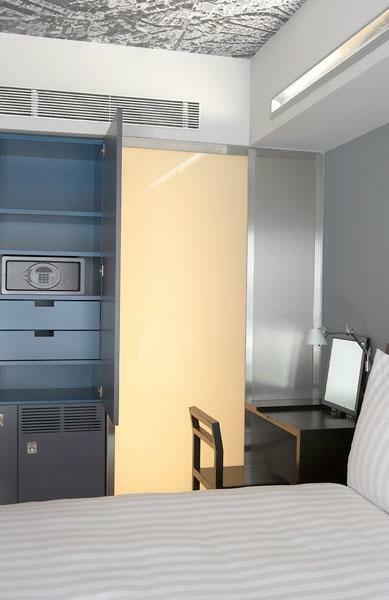 In each room guests will find available: 24-hour free internet access, DVD and CD player supported by built-in sound systems, 21 inches satellite LCD TV, air-condition, fully stocked mini bar and electronic safe.